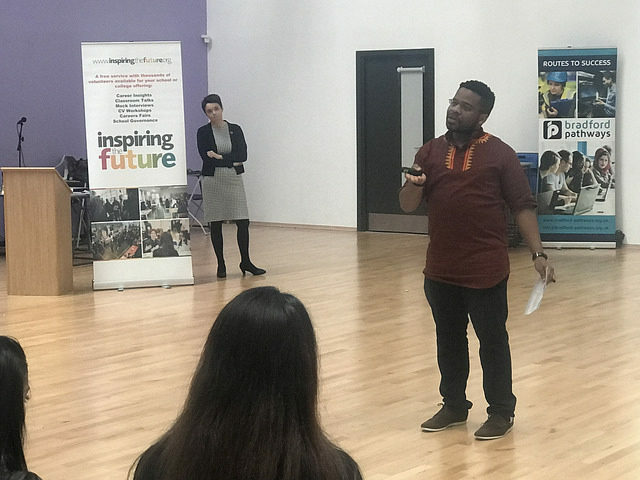 Inspiring Bradford, a celebratory week of events took place in primary and secondary schools across the city to raise and broaden the aspirations of young people in Bradford. 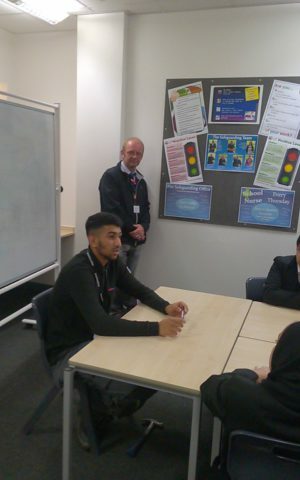 Each event had a real buzz as volunteers, both local and national, visited schools to talk to the young people of Bradford about their careers and inspired them to broaden their horizons. To see all of the pictures please click here. 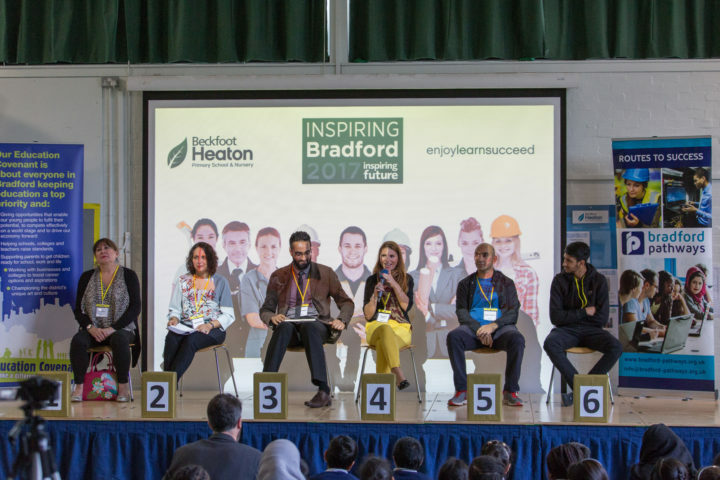 The launch of Inspiring Bradford week took place at Beckfoot Heaton Primary School. 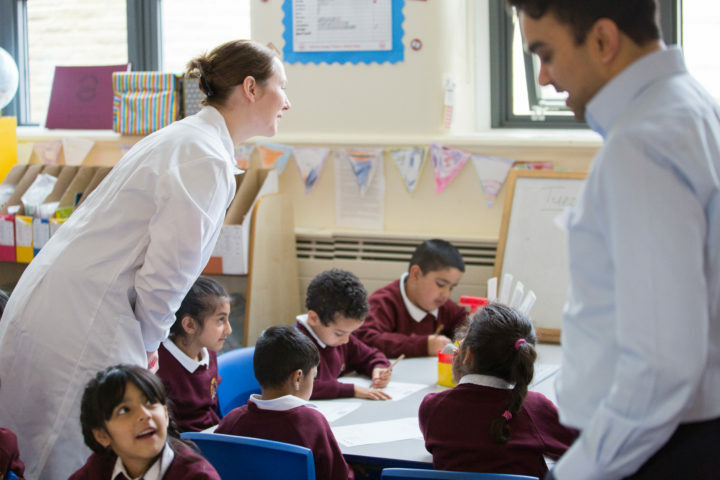 A Primary Future themed extravaganza, this event saw a range of people from the business and economy sector talking to children to inspire their learning. The event started with a ‘What’s My Line?’ assembly which the students compered themselves! A firefighter in head-to-toe uniform and a poem recited by Imran Hafeez were just two of the ways the panel revealed their jobs. 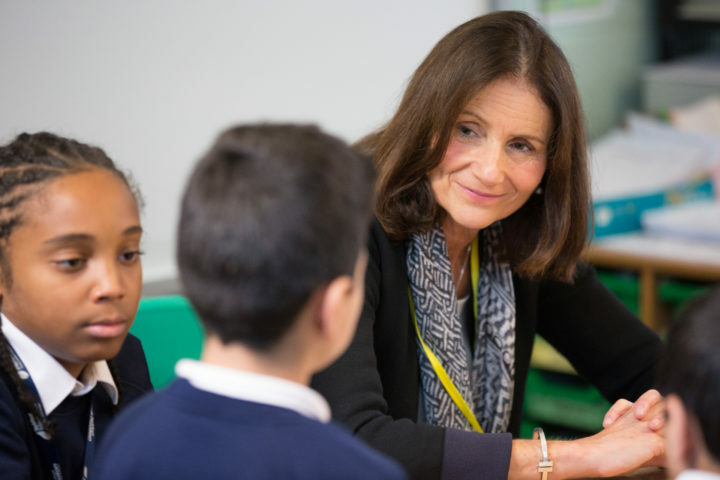 The assembly was followed by a presentation by Carolyn Fairbairn, Director General CBI, who talked about the world of work and the importance of economics. This was followed by classroom chats which involved a huge range of volunteers. 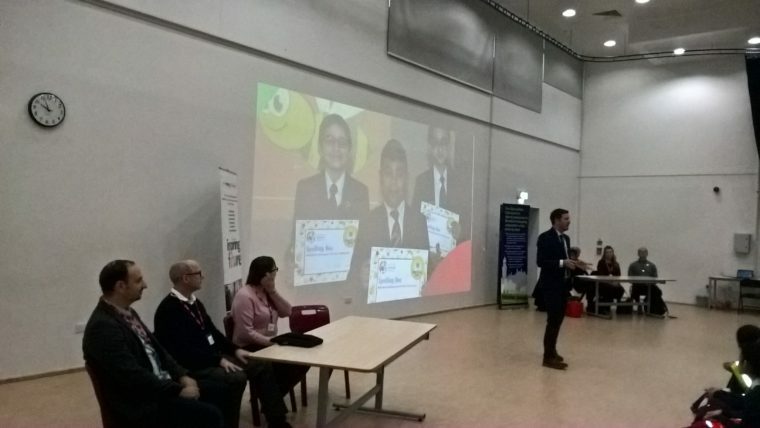 The multi school event saw local secondary schools invite primary children to participate in a day of activities including inspirational talks, careers carousels and workshops. Schools that took part included Parkside, Hanson, Carlton Bolling and UAK and just under 40 primary schools participated in these events. This STEM focused event celebrated the roles of women in science and gave children from Horton Grange Primary school the chance to ask scientists a range of questions about their career. 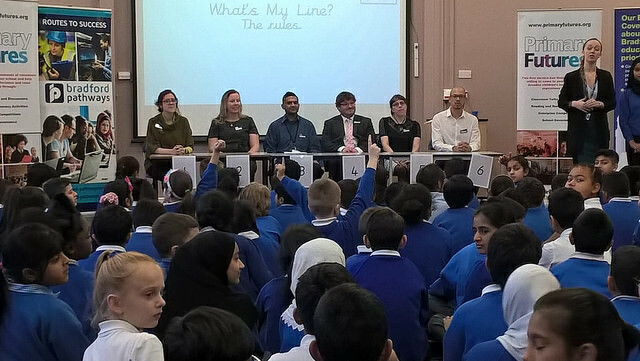 The ‘What’s My Line?’ panel included six different volunteers with careers in the science sector. Dame Mary Archer, Chair of The Science Museums Group, spoke about the importance of science and inspired the children of Horton Grange. 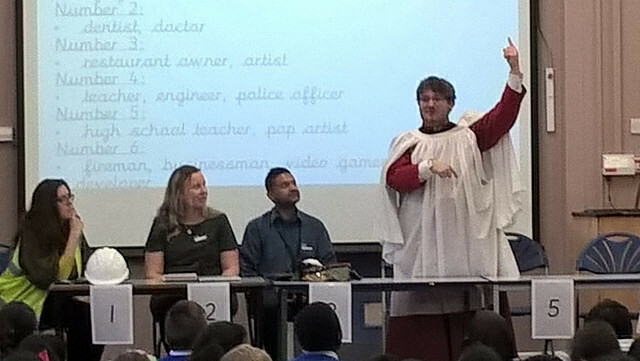 This event celebrated the arts sector with St Matthew’s CE Primary School and Nursery, it certainly got those creative minds roaming by introducing pupils to a wide range of wonderful careers within the arts sector. The ‘What’s My Line?’ panel included a diverse panel of volunteers including Lloyd Thompson an ex-pupil who reveal his job through a breakdance! Secondary school students of Samuel Lister Academy spent the day exploring the diverse variety of routes available to them post-education. Volunteers were invited to discuss apprenticeships, university and starting your own business at this Career Footsteps event. 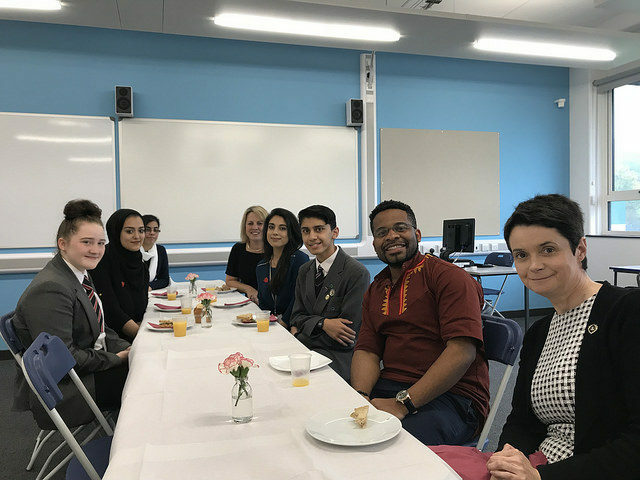 Nicola Brentnall MVO the Director of the Queen’s Trust and Joannes Paulus Yimbesalu co-founder of HOPE For Children Cameroon also delivered an inspiring talk to year 11 and post-16 students. 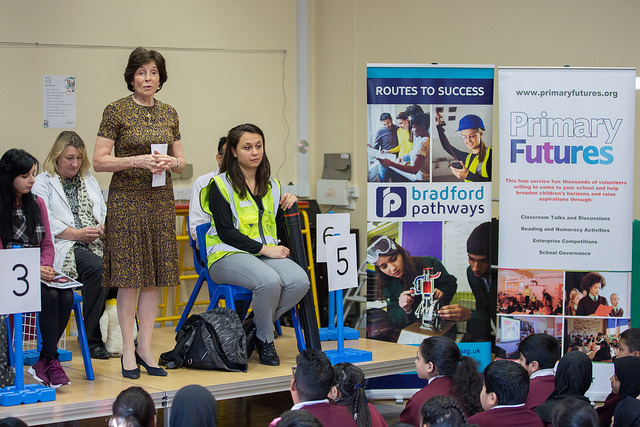 A range of other primary schools also celebrated Inspiring Bradford through hosting events to inspire their children. We’d like to extend a massive thank you to all the volunteers and schools who took part in Inspiring Bradford to ensure it was a success. This week was just a start of what we’d like to achieve in Bradford. If you’re a school or a employer in the local area make sure you get involved by signing up to Inspiring the Future.